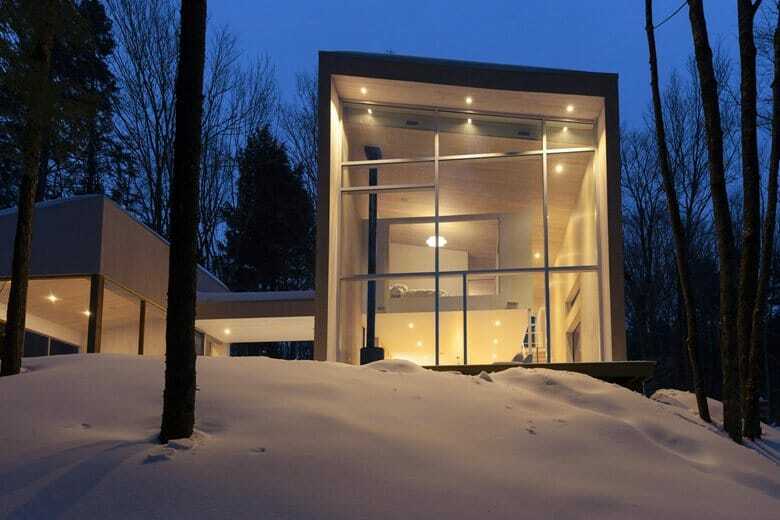 A house in chalet style is just what one needs for a country covered with forests and hills and being reigned by winter and plenty of snow most of the time. But this fact doesn’t mean that this house should look like a hut in the village. 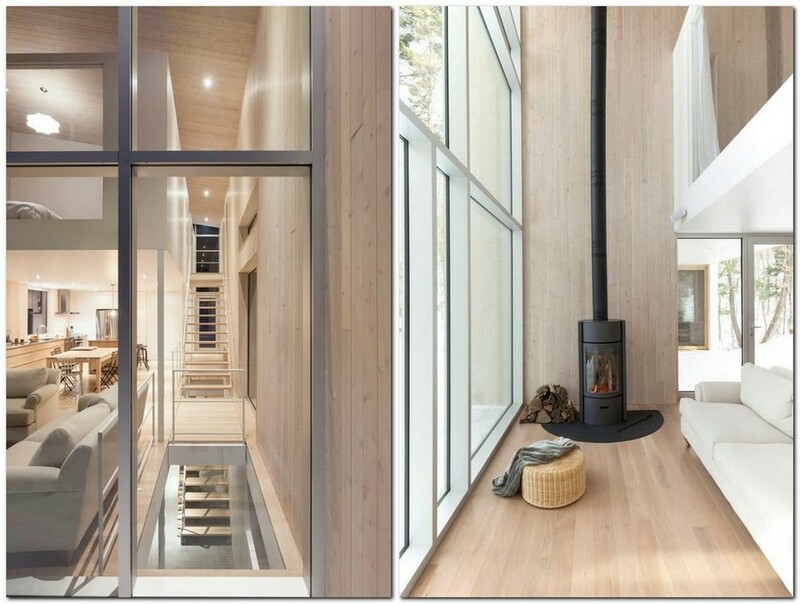 A chalet can be erected and designed with full respect to contemporary architecture, just like this one, in the heart of Canada. 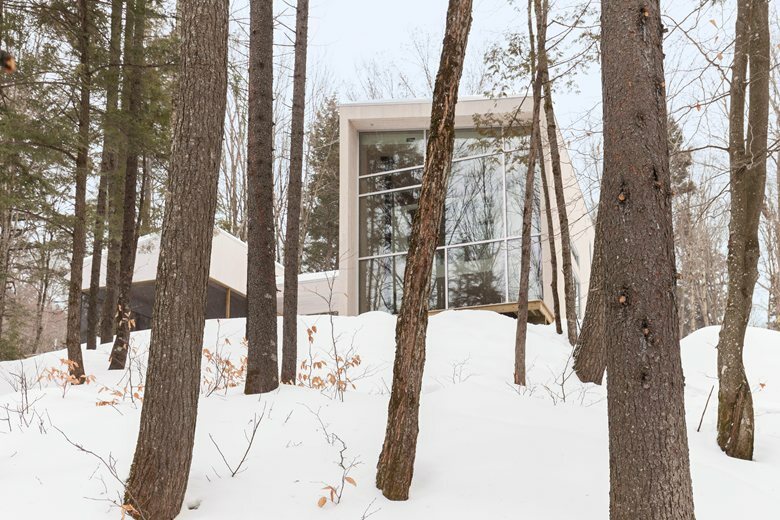 This amazing house is located on the top of a high hill and surrounded by tall trees from every angle. The view opening from its windows is really magical: from such height one can see the “sea” of centuries-old woods and a small river flowing nearby. 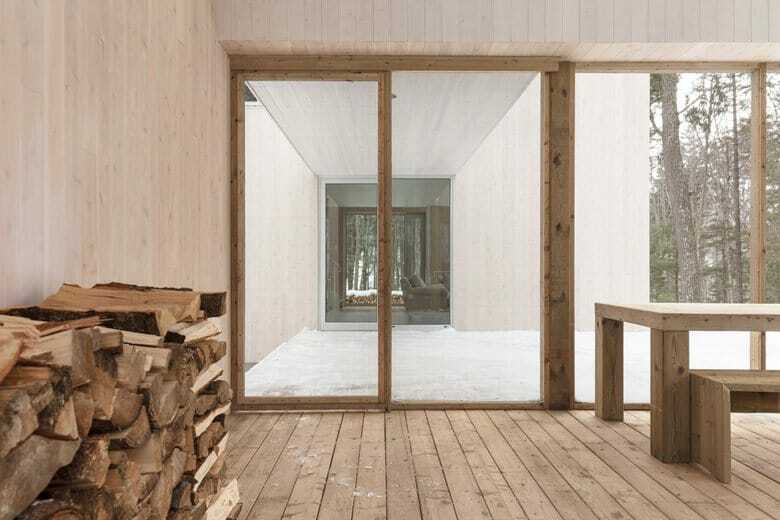 There is no wonder that in the context of such scenery the most logical solution was to make both the architecture and the interior of the chalet closer to nature and create an illusion of it being a part of the landscape. 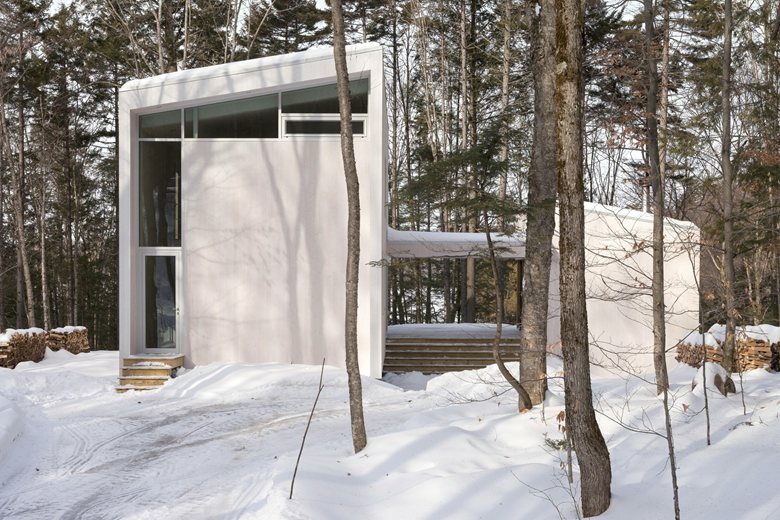 Despite the fact that the house appeared to be quite compact, it seems more spacious than it really is thanks to huge windows and a light color palette of the interior. It’s composed of two parts joined by a terrace: the two-floor part is designed as a living room with bedrooms, while the low mini-house is organized as a studio. As for the interior design, it’s pretty minimalist and even ascetic to some extent – you will hardly find any redundant element in it – just the essentials of comfortable living. 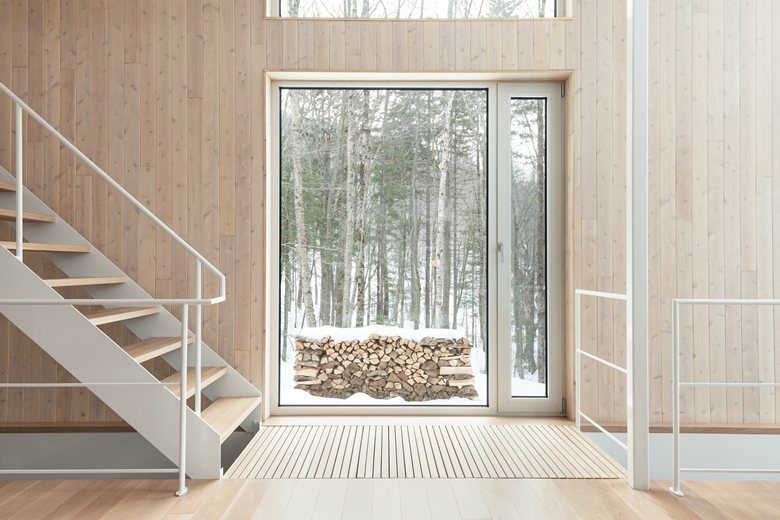 As a result, the rooms are filled with air and peace of the winter forest outside. 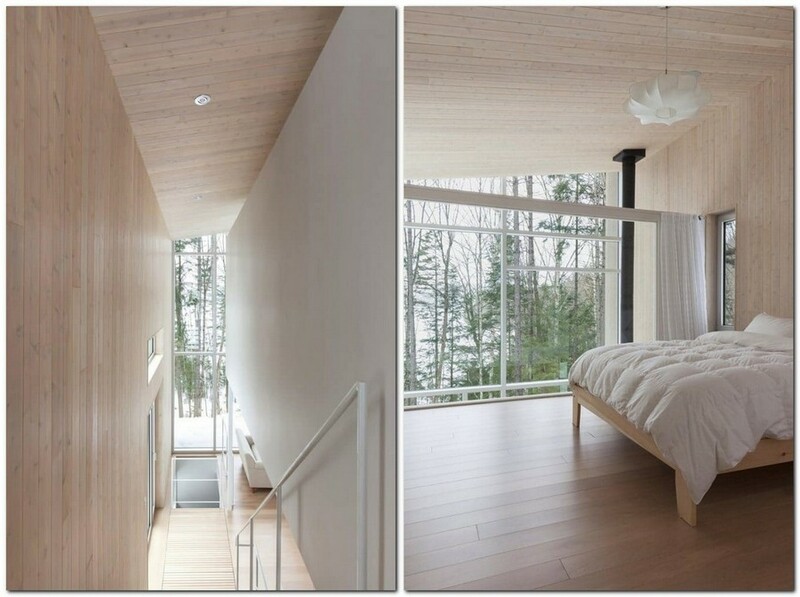 It’s especially felt in the master bedroom: it seems like the bed was carefully placed right in the tree branches.